I kept on working and developing the QuakeC source with some new features, which, in order to be tested, needed a test map. So I used QuArK to build a new map with custom effects and entities. 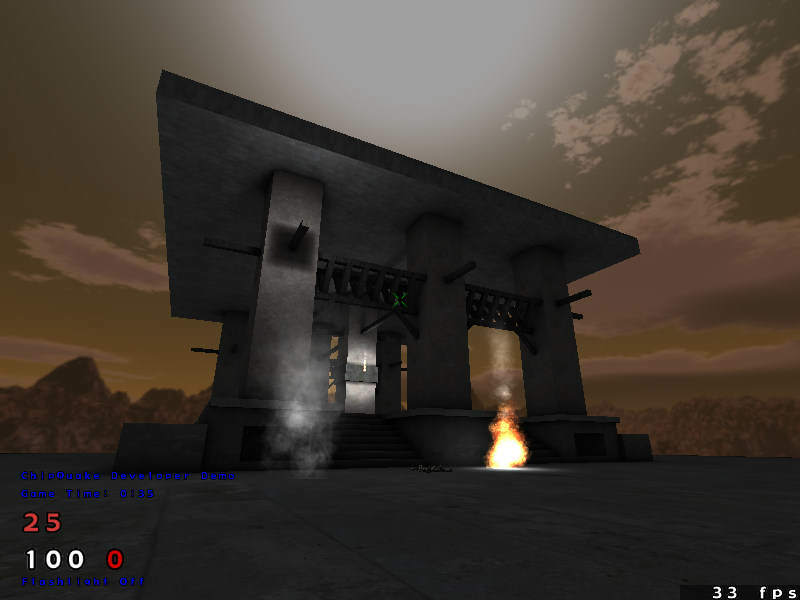 sp_Temple is a basic map with some geometry, some lighting, and some new entities. I have ported over my smoke and my fire effects, from a previous version. I can happily say I merged everything I worked on so far, and started a new versioning system. Some new features that went into this map are md3 models (misc_model, misc_object, misc_decor – call them anyway you want), skylight and sky shadows (I’m still messing around with the light to get something like 3DS Max’s skymap – combined with the ambient occlusion -dirty parameter from Q3Map2). 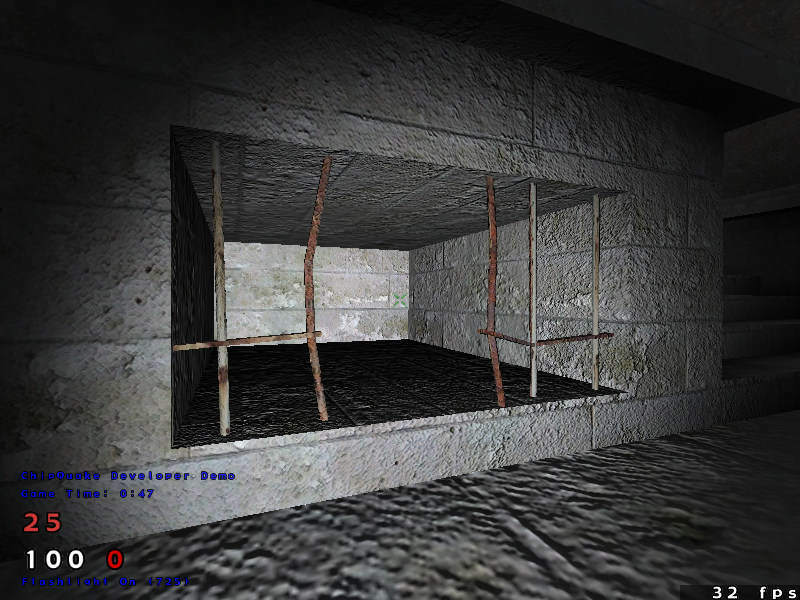 What still bugs me is the real time lights that do not provide bumpmapping (no, not that “bumpy” Darkplaces effect). And misc_models have no shadow, and it takes a while until misc_models become solid. I think I know why the models have no shadow. Looks nice. I can’t wait to try it!